Come hear a fish tale!! We’ve all heard a good fish tale—a riveting story of excitement, of glory, even of danger. 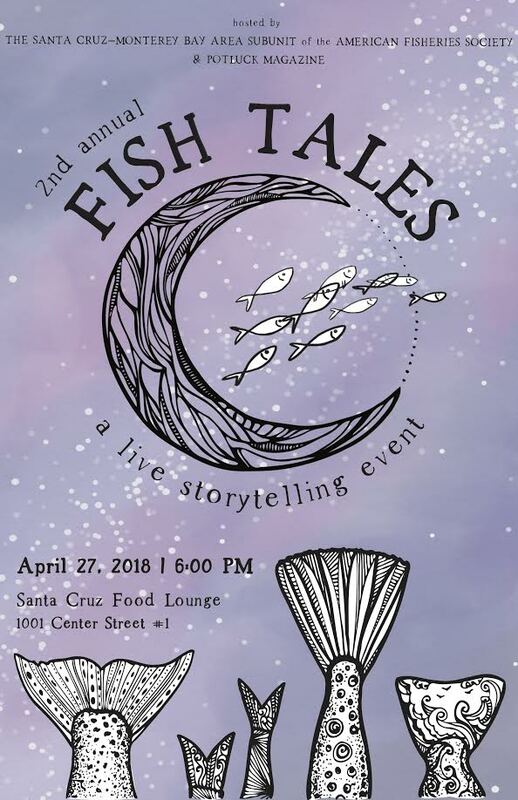 Join us for a night of Santa Cruz’s finest fish fables, with a series of short narratives told by local writers, poets, scientists and comedians. 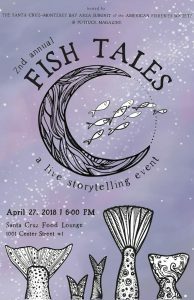 The Santa Cruz-Monterey Bay chapter of the American Fisheries Society, in partnership with the national literary mag Potluck Magazine, invite you to hear (mostly) true tall tales of stormy seas, fearsome fights, and dramatic catches. The one thing they’ve all got in common is fish. DOORS OPEN AT 6PM. ARRIVE ON TIME TO GET A GOOD SEAT.